Cementa_15 has kicked off with a vengeance and the Convent is playing her part as both a venue for artworks and a haven for some of the artists to rest up at night. The first day, as anticipated, was relatively quiet but we expect crowds to build over the four days, peaking on Saturday. The eerie and sad image of extinct birds vanishing before our eyes in Indicatus. 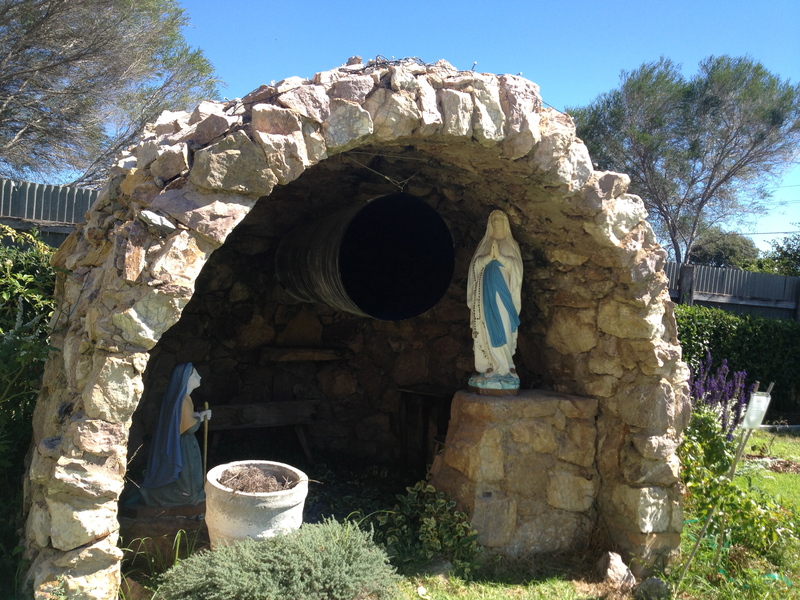 I’m pleased with the exhibits at my place – all different but work in well with the building and grounds. Geometries: Kandos by Beata Geyer & James Culkin has had its share of publicity already, hitting the front page of what’s known locally as the ‘Mud Guard’. It is a site responsive sculpture described “The temporal disjunction between the modular construction of monochromatic planes and multidimensional forms, on the one hand, and the architecture and landscape, on the other, creates an exciting and speculative juxtaposition”. Another description is giant funky pick-up-sticks, which look great in the sprawling front yard with the Convent in the background. Indicatus well situated in the Chapel is one of the hits of Cementa. 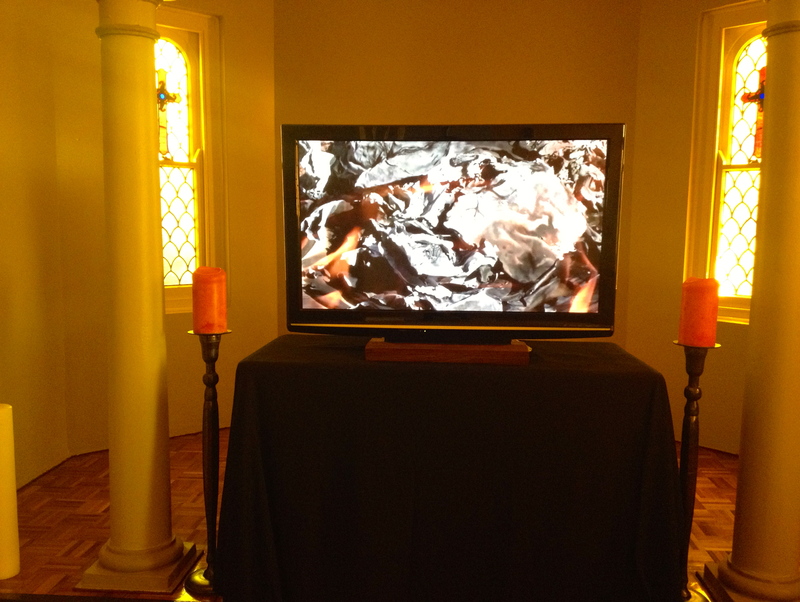 Another work attracting much media attention is Indicatus, 2014 by Kim V. Goldsmith. In this installation “Goldsmith plays with different elements of our relationship with birds, and their place in our environment, using technology to do so. 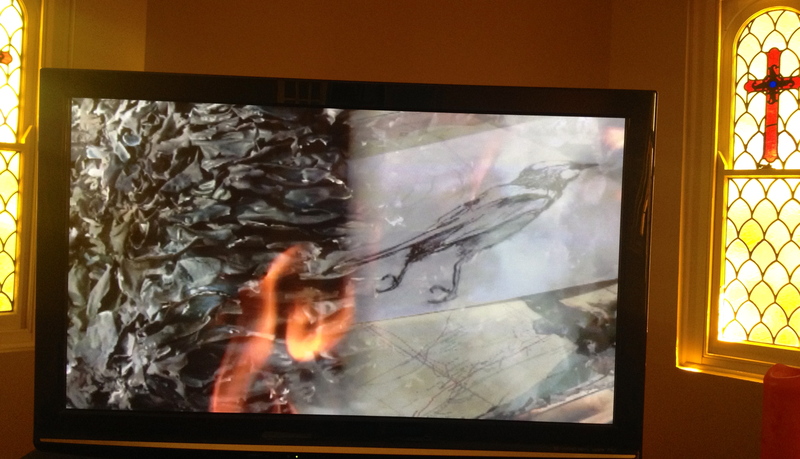 Taking, often sentimental, notions of birds as identifiable decorative symbols of nature, they are deconstructed using sound, the burning of a series of charcoal drawings created specifically for the purpose, and smell”. The work was specifically created to complement the Chapel and is hauntingly beautiful. 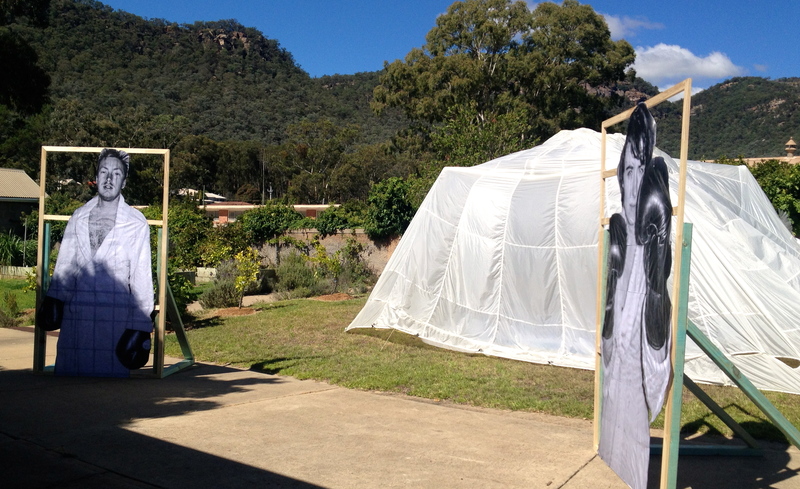 The boxing tent looks ethereal against the backdrop of the Coomber Mountains at the rear of the Convent. Alexander Jackson-Wyattt & Paulina Semkowicz’s Standard Boxing Tent No.1 was intended to be installed in the nearby paddock, however harsh Kandos winds put a stop to that idea. It’s now housed in my backyard but still suffering at times from the weather (although the cold snap has diminished and the days are kinder). “Kandos has not seen a boxing tent since 1971. From then, the empty field you have passed every day has stood there waiting for nothing to happen. Til finally the boxing troupe comes to town. From the nervous crowd, your hand goes up. You are pulled into the ring and what comes next is not the end but only the beginning”. It’s an appropriate location for the tent given the boxing boys practice five nights a week in the buildings attached to the Church directly behind my home. Bit hard to photograph this but viewers get a beautifully reflected vision from inside the Grotto. Lastly, the Grotto gets some attention with Dan Kojta’s Infinityscope. “Peering into the infinity scope’s deep velvety depths, viewers are encouraged to reflect on their spiritual state: and interior mirror returns their immediate past back to them as a future event”. I’m looking forward to seeing more. One of the few other exhibits I’ve seen is the mural being created at the Museum by Djon Mundine which is amazingly spectacular and epic in size and cultural context. This will be a great ongoing contribution for Kandos, well past Cementa_15. In case any readers think I’m art literate, the descriptions have all been taken from the Cementa_15 catalogue and I can’t take credit for them. I’ll post more of some of the other works as I make my way around. 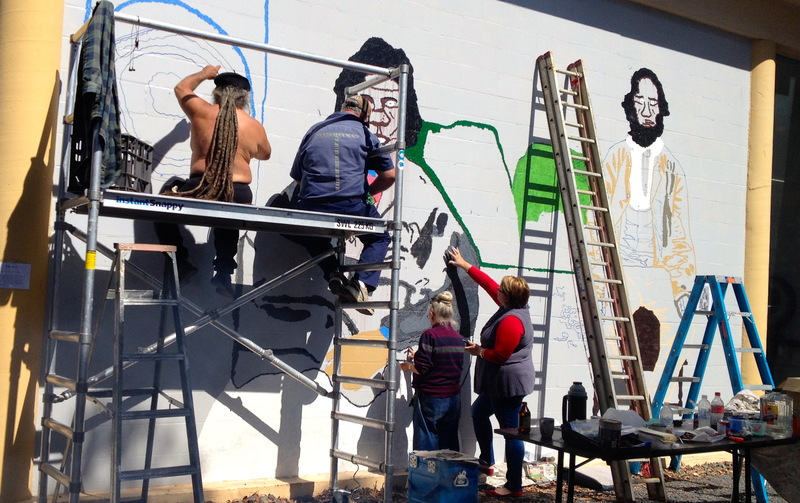 Djon Mundine’s mural will be a greatly valued legacy for Kandos. 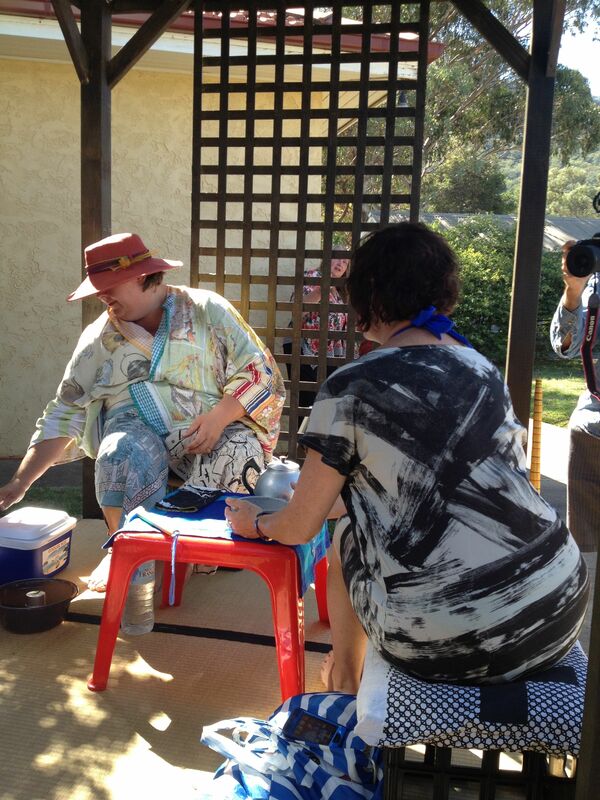 From February 1 – 4 this year, a contemporary arts festival took over Kandos – 4 days and 4 nights with over 40 artists. 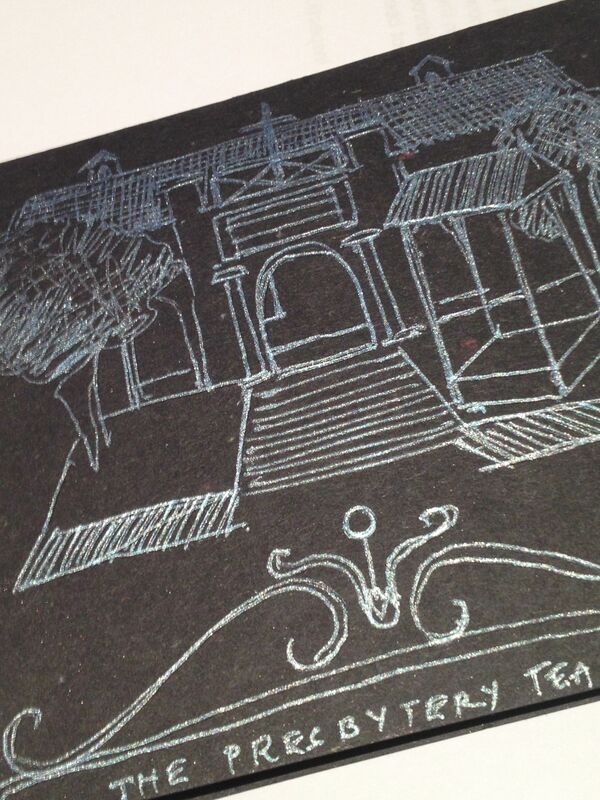 Cementa_13 is a biennial contemporary arts festival taking place in the post-industrial town of Kandos NSW. Over forty artists will exhibit video, installation, sound, 2d and 3d artworks in venues and locations across the town. Venues will include shop fronts, vacant lots, a disused school, scout hall, local pub, the local museum, golf-course, people’s homes, the surrounding bushlands, etc. The work will address the identity, history, and current social, environmental and economic context of the town. Both walking and cycling tours will be given every day of the festival, introducing audiences to the town, along a route that will incorporate all of the major exhibitions, emphasizing environmentally sound modes of transport. In addition, there will be specialised tours including an edible weed tour of the surrounding country, a bicycle tour by ARTcycle inc. of local bushland, an escarpment hike and a winery tour. 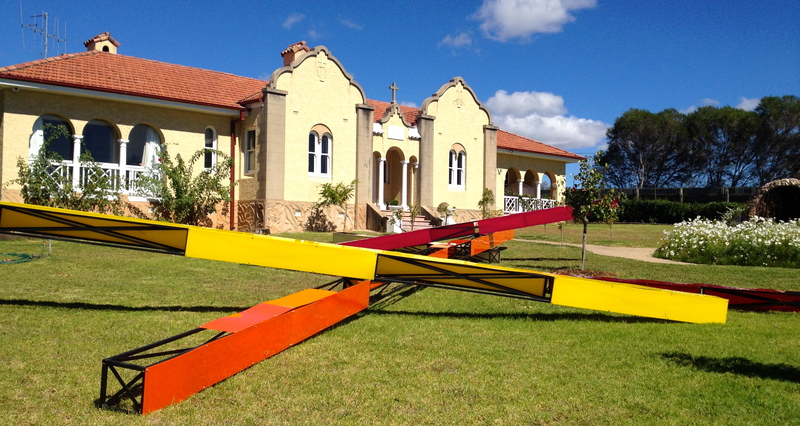 The Convent played its own role hosting seven artists both inside and outside. Some Convent highlights included Sarah Goffman’s Japanese Tea House, The Chapel of Rubber by Starrs and Cmielewski and Sarah Breen Lovett’s Openings.